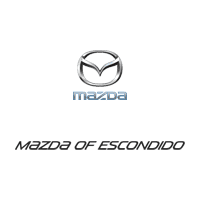 Looking for a new Mazda vehicle for sale in Escondido but don’t want to break the bank? Luckily, we have a wide variety of Mazda Certified Pre-Owned vehicles in stock right now. And when you rely on a certified used Mazda, you can count on driving home to San Marcos in a vehicle that has been thoroughly inspected for quality. Additionally, you’ll benefit from Mazda technologies like i-ACTIVSENSE® and SKYACTIV® TECHNOLOGY, and MAZDA CONNECT™. When you’re ready for a test drive, visit Mazda of Escondido today! When you’re ready to explore our Certified Pre-Owned Mazda options in person, make your way to Mazda of Escondido from Carlsbad! We can’t wait to get you behind the wheel of your next Mazda.